I was quite skeptical about trying Burt's Bees Natural Skin Solutions for Sensitive skin, because I have so much trouble finding products that will not irritate my skin. Before I tried Burt's Bees my skin was dry and not very healthy looking, because I had not been using a daily moisturizer. After a few days of using Burt's Bees I was impressed to see, that my skin was not being irritated and my skin was starting to feel soft and more healthy looking. The Sensitive Facial Cleanser is soap-free and is clinically proven to moisturize sensitive skin while gently cleansing away dirt, oil and makeup without drying or causing redness or irritation. I found this to be a big help to me, as a lot of harsh soaps tend to make me red, or very itchy. This product retails for $12.99 Cdn. Overall I would give both of these a 5 out of 5. I will be using both of them from now on. Because they are Gentle on the skin, fragrance-free, hypo-allergenic and dermatologist tested and allergy tested. Great products, that have made my skin healthy and happy. **DISCLOUSURE** I received the above mentioned products free of charge as a member of Bzzagent. All opinions expressed are honest, and of my own, not influenced in anyway!! **Disclosure** I received the above mentioned product free of charge as a member of Bzzagent. All opinions expressed are honest and of my own, not influenced in any way!! Free Lingerie from Adore Me!! Having to deal with a skin condition called Hidradenitis Suppurativa for 10 years, I am always looking for new natural skin products to try. My skin is very sensitive and I've hard that Burt's Bees Sensitive skin is supposed to give a gently cleanse and moisturise without causing skin irritation. I would love to be able to try this product out on my sensitive skin, and give a review to let people know that have my condition, there is a product that actually works with causing my skin to flare up. I would then be able to let my HS group know that I've found a product that actually works for our sensitive skin. Please BzzAgent let me review this product, so I can pass the Bzz along to people with HS, and let them know there is a product out there, that is gentle enough for sensitive skin. 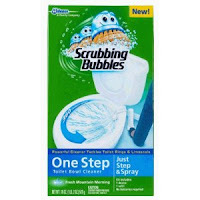 Yesterday, I was pleasantly surprised to receive an email invite from BzzAgent to join the Scrubbing Bubbles Toilet Cleaner campaign. I was totally excited about getting the invite, because I've heard some really good things about it from my friends, and I've wanted to try this product and give a review on it, and BzzAgent has given me that chance. It's supposed to make cleaning your toilet easier, and who doesn't like the idea of a product that makes it easier and faster. So, I am looking forward to receiving this product and reviewing it. BzzAgent said it will take about 21 days to arrive. So, until then I will be waiting to test this product out, and give my honest opinion on what I think. Keep an eye out for my review on this product. Currently I am reading Reign of Madness by Lynn Cullen. It's about Katherine of Aragon's sister Juana of Castile. I am half way through this book, and it's been very hard to put it down. It's gripping right from the start, especially if you are interested in this period of history. I personally love the Tudor era of history, so this was a very good choice of book for me. I hope that it will continue being as gripping in the second half. I'll let you know, when I am finishing reading.